The idea is simple. Instead of asking customers to imagine an awning, you show it to them. 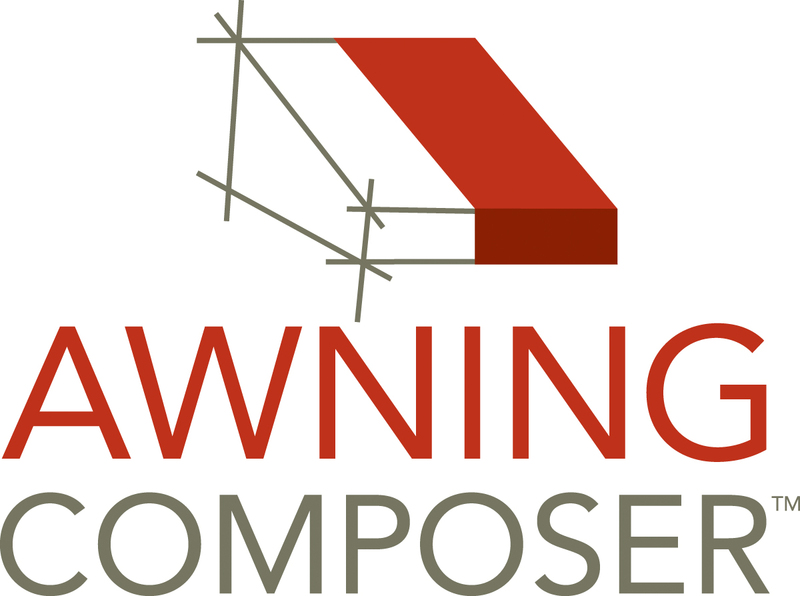 That's the promise of Awning Composer - without the need for CAD experience, take a picture of your customer's building and use pre-built 3D models of different shade structures to show your customer exactly what their shade structure will look like. Save even more time with the Estimation Add-on (sold separately). When designing your awning, the amount of materials, framing cut list, labor time, cost of production, and retail price are updated as changes are made. Customize shade structures with different fabric patterns, valance styles, graphics, and text. Dynamically generate 3D models, including both fabric and frame components. Take standard awning styles and quickly make adjustments to the frame. Add dimensions, create cut lists, and generate orthographic views. Calculates the amount of framing needed based on the length of extrusion and other parameters. Calculates the amount of fabric and number of panels based on fabric width, seam allowance, and other parameters. Estimates labor costs based on a number of various parameters. Instantly create quotes with total price, taxes, installation charges, and additional line items.